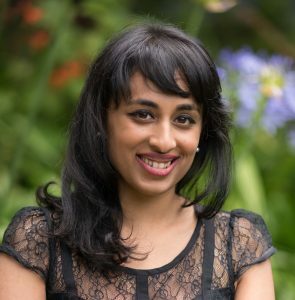 Anjana is an Integrative General Practitioner who combines the latest evidence based medical and complementary therapies with her clinical experience to help her patients . She has a wealth of experience in chronic fatigue syndrome and body “ burnout”. Anjana has undertaken Level 1 training in chronic inflammatory response syndrome (CIRS) due to mold exposure and infections. She has also completed extensive training into microbiome dysfunction including Large Bowel dysbiosis and Small Intestinal Bowel Overgrowth (SIBO) Anjana believes these two areas, when addressed on top of a solid foundation of nutritional and mind body medicine (ACNEM FELLOW), can improve the quality of life for those patients debilitated by chronic illness. Anjana’s paediatric practice gives her great joy. Recently a mother, she uses her personal experience and medical knowledge (MINDD Certification) to help address digestive and behavioural problems in children. She loves increasing her knowledge and is currently completing a Bachelor of Herbal Medicine. Anjana also enjoys oil painting and cooking. For details on appointment availability and the schedule of fees please contact the NIIM Clinic Reception on (03) 9804 0646. Please contact the Clinic for further information.